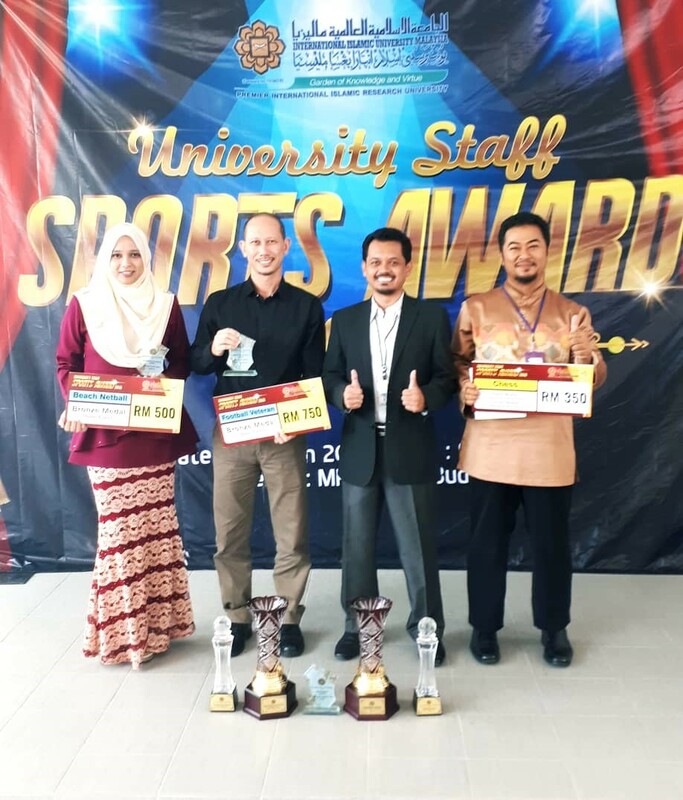 On 1st March 2019, three member staff of Centre for Foundation Studies received awards in the University Staff Sports Award 2018 which was held at Wadi Budi. Centre for Foundation Studies wished great congratulations to the award recipients. Br. Mohd Hanif Arkurni received the following awards for his achievement in Chess games at Sukan Kakitangan University Malaysia (SUKUM) 2018. Sr. Rosfariza Mohd Fadzil received the following awards for her achievement in netball games at Sukan Staf Badan Berkanun (Sukanun) 2018. Br. 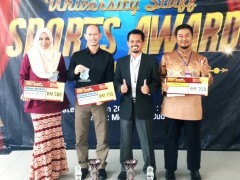 Azham bin Othman received the following award for his achievement in a football game at Sukan Kakitangan University Malaysia (SUKUM) 2018. Congratulations to all the award recipients on your achievements!